It's always fun dressing up your table settings with handmade items for special occasions like Valentine's Day! I came up with an idea to create a lovely Sparkling Heart-Shaped Napkin Ring made mostly with items from the dollar store. It's really simple to make and a lovely addition to any romantic table décor! Especially if they're at every place setting! These adorable stone heart play rings caught my attention at the Dollar Tree and I immediately knew I wanted to make something using them. So, I cut off the ring on the back and smooth the cut edges out using sandpaper . . .
then glued on red crystal rocks I had left over from a Valentine Wreath I made last year. The rocks have a lovely pattern to inter-lock! And was a perfect match to the heart! To make the napkin ring, you will need red floral wire, and a rolling pin from the dollar store. And also round nose pliers to curve the wire ends. Start by wrapping the wire around the end of the rolling pin. The pin is perfect to make the spiral ring shape! It's nice and sturdy and it's so easy to remove the wire ring when finish. as close together as possible . . .
For a decorative finished look - using round nose pliers . . .
make a small loop on each end . . .
and then flair them out! Next, place the wrapped wire ring back on the rolling pin to straighten and adjust! Doesn't this spiraled wire ring look pretty enough to use on its' own? Why yes! Glue the spiraled wire ring onto back of the heart shape . . .
for a lovely sparkling heart-shape napkin ring! 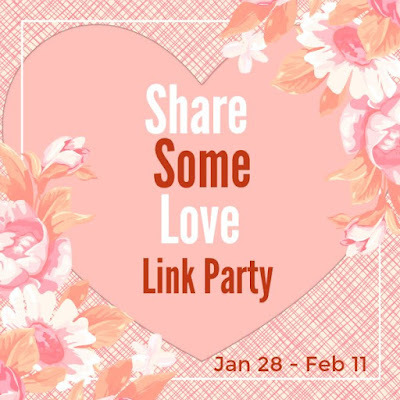 I'm sharing this at the Share Some Love Link Party where I'm co-hosting with several creative bloggers. And the party is all about LOVE! We invite you to share your Valentine’s Day crafts, decor ideas, party ideas, recipes, and more! Come join us! Find lots of inspiration, and spread some love! Those are beautiful!! I just love the added curl to the wire to finish them off. Pinned. What a pretty way to add a touch of Valentine's to your table! These look great, Gail and what a clever ideas to use the rolling pin to form the ring. I love dollar store crafts. Gail, I know I sound like a broken record but your creativity never ceases to amaze me. These are really pretty. Pretty! I really like the red heart! These napkin rings are adorable. 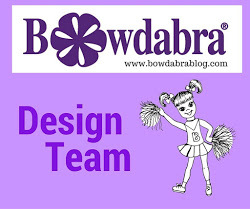 I love the Dollar Tree, and this craft is a reminder of why. Thanks for sharing on Sunday's Best. 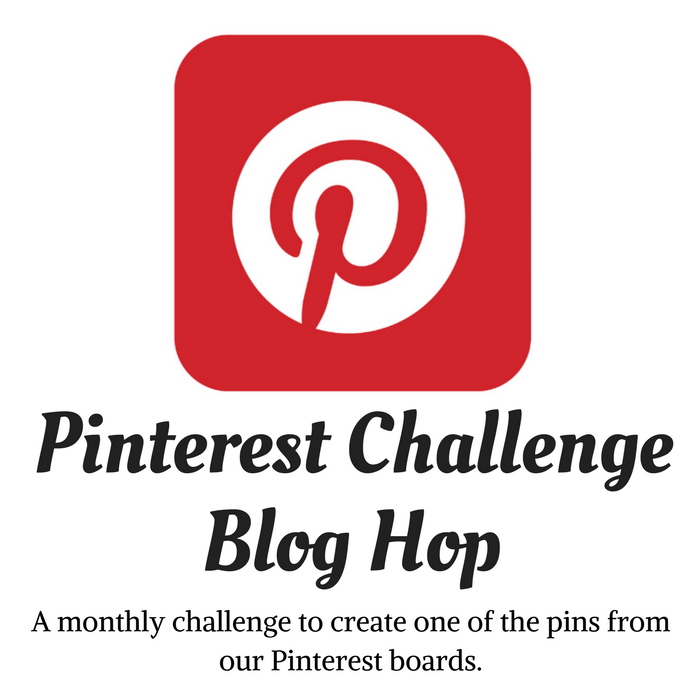 You'll be featured! 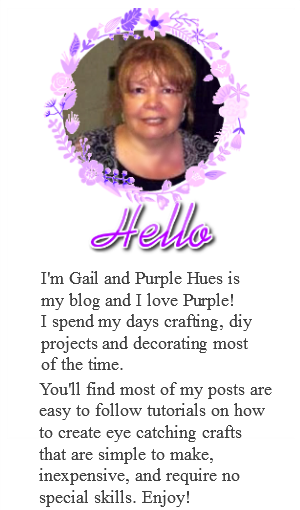 Gail, You are so creative! So fun for Valentine's day. Those rock gems add just the right frame for the hearts too. Bet they will look fabulous on your Holiday table! Pinning. So cute! What a great way to use Dollar Store supplies. Pinning!